Initially involved in adult education and health activities, Jawan Lal took it as a challenge to transform degraded lands to productive assets in Barwa village for about 110 families. Jawan Lal says, "Even we realised the importance of water and afforestation early, but people were not ready to join and it took us one year to win them over to our way of thinking." 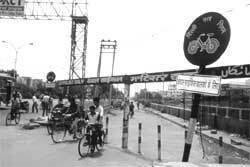 The panchayat, which was reluctant to hand over the degraded lands was persuaded by Jawan Lal. But more problems cropped up when the villagers were misinformed that the land to be developed will be occupied by Seva Mandir. Finally, after a lot of clarifications and meetings the matter was settled. 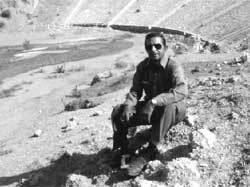 In early 1980s, he played a key role in constructing a check dam in collaboration with the village panchayat. This was followed by the construction of ponds in 1998 and 2000. Jawan Lal is very much interested in extending the watershed management programme to improve the standard of the farming sector in the village. Arranging a separate meeting for women helped in overcoming the attendance problem owing to the purdah system. Jawan Lal says, "Our women handle their own meetings separately and they have opened their savings account also. 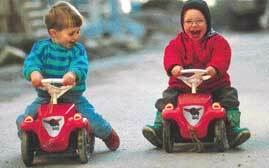 Savings have grown up to Rs 2,30,000." Today, he stands tall amongst other village leaders for his uprightness and dedication. Concerned over the water level in the region of Suarashtra which had receeded from 15 metres in 1990 to 120-210 metres in 1998, Mansukh Bhai Suvagia, a 37-year-old government servant decided to initiate steps to tackle the problem. With the help of villagers, he launched a Lok Fund scheme and collected more than Rs 1 lakh to build 17 check dams in the area. 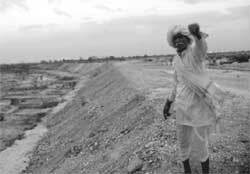 "These are the cheapest check dams in the whole country," says Suvagia. Well-planned locations and building according to the requirements were the two main reasons for the low cost of construction. Cost was further reduced as the villagers built the dams themselves. Suvagia's wife Rasila helped him out in his work by mobilisng the village women to get involved in the building of the dams. With the help of local women, four dams have been built in the area. At present, in over 100 villages of Saurashtra region money is being raised to build dams. The amount of money collected ranges from Rs 1-5 lakh. Jamka village in Junagadh district is successfully carrying out the work of building check dams. The village is 1,011.7 hectares in area with a population of 3,000 and the area under cultivation is 809.4 hectares. Even though the area has one river and four rivulets, the water supply is inadequate. Moreover, with 1,200 bore wells the water level has gone down to 200 metres in the last 15 years. 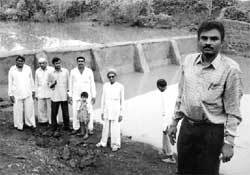 The villagers started constructing the dams in 1999 and so far, 51 check dams and two ponds have been built to harvest water. As a result, the water situation has improved and the farmers are able to cultivate kharif and rabi crops even during the drought conditions. Mansukhbhai projects the profit as around Rs 3 crore in the years of good rainfall. This includes money from agriculture, livestock and trees used for afforestation. "It puts the government in a very bad light," says Suvagia. He is all set to spread the message to the rest of Saurashtra and has already created awareness in about 500 villages. He feels that cse is doing a good job of spreading the message of self- help to other parts of the country. Laxmi Narayan joshi, watershed committee chairman of Saipur village, has been a source of inspiration to the villagers. The watershed work started in 1998-99. Medbandi, a stone embankment built on the lower side of the agriculture field on a hill slope to conserve soil and moisture and help create a level field for cultivation was done in about 300 hectares (ha) of agricultural land. A pond of about 1.5 ha of land with 8,000 cubic metre storage capacity was also built. Joshi says, "There was a lack of vegetation in the watershed area which resulted in soil and water erosion. Improper management of soil and water resources in the area led to poor recharging of well and it affected the supply of fuel and fodder." Due to medbandi in agricultural fields, water requirement of plants is being met better. The villagers have also been convinced to replace wheat with sarson (mustard), jau (oats) and channa (gram), crops that require less water. "It is easy and judicious to promote the water efficient crops in our area. We have planted 6,000 trees in 62 ha land. It promotes groundwater recharge by reducing the flow," Joshi adds. Ram Karan Bhadana, a Gujjar is not involved in sheep raring as others, but is committed towards the development of the village. He is a well-known activist for development works in the village with a population of 2,000-2,500. He was actively involved in creating awareness, giving importance to tree and pond worship, making ponds and removing encroachments from pastures. 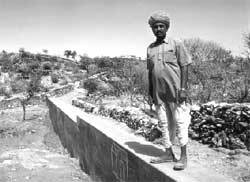 He constructed three ponds one after the other and changed the face of the village. The first pond is named Phoolsagar because it is surrounded by flowers. The second pond is named Devsagar because of the temples that surround it. The third pond is directly linked with agriculture and is named Annasagar. Four chaukas (bunds) have been made to stop the water for livestock. The money was raised from many sources including their friends and relatives. Bhadana says, "Earlier our people were going to Jaipur and other towns to work as labourers but now they are in their own village. The lands which were earlier not able to sustain them are now producing profits for them." Ram Karan says, "The efforts of the villager folk and the motivation of Bhadana have changed the face of the village. We have made good channels for irrigation and started cultivating in the lands, which were lying barren earlier." Sixty-year-old Devendra is the president of the Kedar Village Tank Farmers Society in Tamil Nadu. 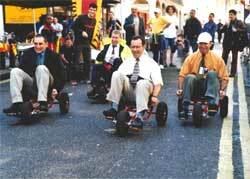 The society was formed in 1989 and there are around 217 members working with it from 13 different communities. The society operates and irrigates an area of approximately 119 hectares. 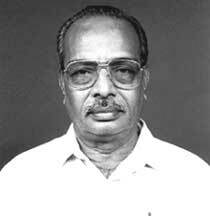 The Centre for Water Resources, Anna University gave the society Rs 27.6 lakh for the research purpose in 1990. After forming the society they collected Rs 40,000 as seed money and the government also pitched in with a grant of Rs 50,000 for the work. The society designed the structures themselves and constructed a 1.5 km long road all along the canal to maintain it and also to mobilise their vehicles and machines for their fields. This reduced the cost of transportation and the villagers could save 50 per cent of the cost of harvesting. Initially, the society collected money from the villagers and the Irrigation Management Training Institute, Trichi, gave them a generous grant, which the society has kept in a fixed deposit and the interest on it is used for maintenance purposes that costs them Rs 30,000 per annum. Devendra says, "Before the intervention of the society, small farmers did not get water because big land owners took a long time to irrigate their land. The society intervened and constructed an earthen sub-channel so that the water reaches both the small and big landowners." Initially the society did face difficulties like water channels being damaged but it was checked by the active cooperation of local people who fixed a fine of Rs 100 for such irresponsible acts. People reported an increase in the productivity of their lands due to the availability of water even during the drought months. This has drastically changed their economic status.